Members: Christina J. Undhjem, Martin M. Larsson, Lars H. Jensen and the producer Denniz Pop. Christina Janet Undhjem is a Norwegian singer and songwriter born in Røros but currently resides in Bergen, and has lived in Denmark for 13 years. In 1995 she was one of the finalists in the Norwegian talent contest Looking against the stars (known as Stars in Their Eyes in Britain) where she imitated Whitney Houston. The following year she participated in the international final European Soundmix Show in Holland, where she came in a tie for second place. After emigrating to Denmark in 1995 she went on the Rhythmic School in Bay, where she met Lars H. Jensen and Martin M. Larsson. The three formed the pop band You Know Who, where Undhjem was lead singer and signed to Universal. Group selvbetitlede debut album from 1997 sold 48,000 copies in Denmark, and hittede with singles like "Good & Evil" and "Guantanamera." After she left the group to fallow a solo carrer made her debut solo album with Watching You in 1998, produced by Cutfather & Joe and the former gang members from the You Know Who it sold 25,000 copies. 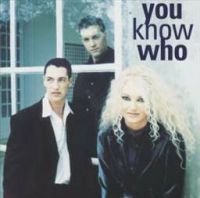 In 2001 Undhjem released a Christmas single "Let Love Be Love" Juice, SOAP and Remee, after this formed with pop dance sensation Ida Corr the grup Sister but without success.In the same year formed with her "sister" Ida Corr the group Sha Li in March and they took also Dj Encore lead singer Engeline. 2002 Christine she sang on DJ Aligator single "Dreams" from the album The Sound of Scandinavia. 2003: Christine gave the voice to dance project Yamino for their debut single "Fly with me"
In 2004 she co-wrote for Popstarswinner Maria Lucia's hit "Taking Back My Heart". She has been involved in the Norwegian Melodi Grand Prix twice. 2004: Undhjem put vocals to popduo Nik & Jay's "One day back" and "Can you hear her sing." 2006: released the song "My Dream" and in 2007 "Here". 2009: she participated in the Danish Eurovision Song Contest with the song "Underneath My Skin" which was written by Mads Haugaard and Bryan Rice. Undhjem is associated with the Copenhagen publishing company Good Songs Publishing.